My name is Paul Rae and I am an Aberdeen based Magician and Balloonist. 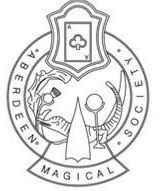 I am a member of the Aberdeen Magical Society and a member of Equity. I am 33 years old and have been learning magic since the age of 12. I love entertaining children and adults of all ages and look to offer a friendly and professional service. I am a primary school teacher and am therefore fully disclosure checked for working with children. Having experience in teaching and working with all ages of children I can tailor my magic shows to meet their needs. I use comedy and colourful props to keep the children fully involved in the magic as well as encouraging input from the children to help me perform my magic. This makes my show interactive and most of all FUN! I also enjoy performing to adults and have been highly recommended by those that have seen me perform. I love having the opportunity to perform as Magic really is an amazing experience when seen first-hand! I offer a professional and friendly service suited to your needs while also offering value for money. Please contact me to find out more information or for booking enquiries. Competitive rates and friendly service. A truly magical experiance for all events. Someone you can rely on!